Document templates can be used to generate agreements, invoices, reports (into Word) and artist riders. To update or add new document templates, follow these steps. You can access the document templates via System Settings > Template Settings or Personal Settings > Template Settings. Different types of document templates can be accessed through here. Word templates for detail view: Here templates for itineraries, agreements and invoices are managed. Word templates for list view: Here templates for reports and checklists are managed. Artist riders: Here the artist riders with hospitality and technical requirements are managed. To update an existing document template, navigate to the template you want to edit, download the template at Current file and open it in Word. When you want to add a new template and maintain your company’s styling (fonts, lay out and logos), best practice is to copy an existing template, rename it and download it to use that template as a basis to work from. 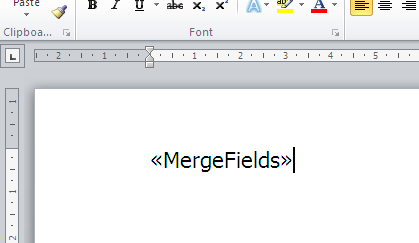 System One uses merge fields to insert information from System One into your documents. You can find a list of the available fields here. After you have updated the template you need to save it on your computer. After saving, you should upload the updated template by selecting Choose File under Upload new file.